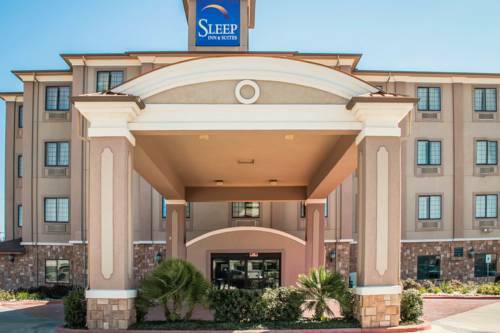 When you are headed to the Texas Triangle on business, enjoy a simply stylish experience at the Sleep Inn and Suites at Six Flags hotel in San Antonio, TX. Our smoke-free, affordable hotel caters to corporate travelers with access to our business center and meeting room. Additional amenities include free WiFi, free hot breakfast, a fitness center, indoor pool and guest laundry facilities. Relax in one of our comfortable guestrooms, featuring premium bedding, a TV, microwave, refrigerator, coffee maker, hair dryer, desk, iron and ironing board. Also, earn rewards including free nights and gift cards with our Choice Privileges Rewards program. Meeting room available upon request. No pets allowed. Hotel is 100-percent non-smoking.